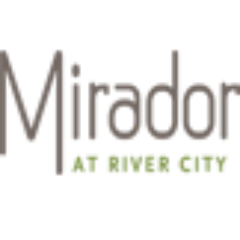 Mirador at River City Apartments - A life of exquisite comfort and luxury awaits you at Mirador at River City, a beautiful community of apartments in Jacksonville. A life of exquisite comfort and luxury awaits you at Mirador at River City, a beautiful community of apartments in Jacksonville. Upon entering our gorgeously landscaped grounds, you will find yourself in a quintessential Florida paradise. Our complex has a number of upscale features that make in an ideal living space. Each unit is beautifully designed and comes with air conditioning systems that will be a godsend during the sweltering days of summer, walk-in closets, built-in appliances, in-unit washer and dryer, and many more items that make life more convenient. The grounds at Mirador at River City are full of upscale amenities, including a deluxe outdoor pool area and spa, clubhouse featuring a stately pool table, playground area for children, tennis court, and fitness center. All these fabulous features make our apartment community an ideal place for residents to enjoy and entertain. You cannot forget, we are a pet friendly community and your four-legged friends can bask in our amenities as well. Welcome home to Mirador at River City apartments, where comfort is not a luxury. It is a given.